Law and Lawyers: Rendition ~ Will we ever know the full truth? Earlier this month, the Attorney-General informed the House of Commons that litigation concerning alleged British involvement in extraordinary rendition had been finalised by agreement. 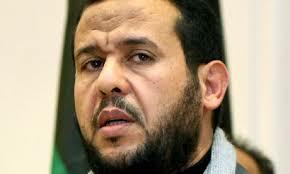 The claimants were Mr Abdel Hakim Belhaj and his wife Fatima Boudchar. The litigation was hard fought by the British government but, in early 2017, the government lost its eventual appeal to the Supreme Court. Even then, it took over a year – and with the help of mediation – to reach a finalisation of the litigation and that was without any admission of legal liability. Mrs Belhaj was paid a sum of £500,000 and received an apology. Mr Belhaj sought only an apology which he received. This post looks at these lamentable events. Human rights groups and several public inquiries in Europe have found the US government, with the complicity of numerous governments worldwide, to be engaged in the illegal practice of extraordinary rendition, secret detention and torture. The US government-sponsored program of renditions is an unlawful practice in which numerous persons have been illegally detained and secretly flown to third countries, where they have suffered additional human rights abuses including torture and enforced disappearance. No one knows the exact number of persons affected, due to the secrecy under which the operations are carried out. In 2005, an All-Party Parliamentary Group on Extraordinary Rendition was set up. A report into Rendition was produced by the Intelligence and Security Committee (ISC) in 2007 - see HERE. On 10th May 2018 the ISC announced that it had sent two reports to the Prime Minister - "Detainee Mistreatment and Rendition: 2001-2010" and "Detainee Mistreatment and Rendition: Current Issues." The committee expects to be in a position to publish the reports in June. …look at whether Britain was implicated in the improper treatment of detainees, held by other countries, that may have occurred in the aftermath of 9/11. …. following consultation with Sir Peter Gibson, the Inquiry Chair, we have decided to bring the work of his Inquiry to a conclusion. We have agreed with Sir Peter that the Inquiry should provide the government with a report on its preparatory work to date, highlighting particular themes or issues which might be the subject of further examination. The government is clear that as much of this report as possible will be made public. This report identified 27 issues which the Inquiry wished to examine had it been allowed to complete its work including further work on Rendition - see Annex A. In June 2011, the Inquiry held a seminar on international and domestic law on torture, ill-treatment and complicity and the outcome is set out in Annex B. At the time of concluding the Gibson Inquiry, Mr Clarke stated that the government intended to hold a judge-led inquiry once Police investigations had concluded - The Guardian 18th January 2012. To date. no further inquiry has been announced. Following the Police investigation, the Crown Prosecution Service decided not to prosecute anyone - The Independent 9th June 2016. On 20 October 2016, Mr Belhaj and his wife initiated Judicial Review proceedings, seeking to challenge the decision not to prosecute. The Secretary of State applied for Closed Material Proceedings (CMP) under the Justice and Security Act 2013. An appeal relating to the CMP was heard by the Supreme Court in March 2018 - see Belhaj and another v DPP on appeal from  EWHC 3056 (Admin). The High Court explained the case (para 5) - "On 8 August 2017, the Secretary of State for Foreign and Commonwealth Affairs ["The Secretary of State"] applied, then as a non-party to the action, that there should be a declaration pursuant to Section 6 of the Justice and Security Act 2013 ["JSA 2013"] permitting Closed Material Proceedings ["CMP"] in the case. That application is resisted by the Claimants on a number of grounds, the first of which is jurisdiction. In very short summary, the Claimants submit that these Judicial Review Proceedings constitute a "criminal cause or matter" within the meaning and for the purposes of the JSA 2013, and hence fall outside the Court's jurisdiction to make a declaration under Section 6 of the JSA 2013. Following argument, we ruled on Friday, 3 November 2017 against the Claimants on this issue. In this judgment we give our reasons. In January 2017, the Supreme Court handed down judgment in a number of cases - (see below for full details). In Belhaj and another v Straw  UKSC 3 - The court had to decide, assuming that Mr Belhaj's allegations to be true, whether his claims of UK complicity for unlawful detention and mistreatment overseas at the hands of foreign state officials were properly triable in the English courts. The government argued that certain issues of law (State immunity and/or Foreign Act of State) prevented trial of Mr Belhaj's case. The court held that the claims could proceed to trial. "The main elements of the agreement I can report to the House are as follows. First, no admissions of liability have been made by any of the defendants in settling these claims. Secondly, the claimants have now withdrawn their claims against all the defendants. Thirdly, the Government have agreed to pay Mrs Boudchar £500,000; Mr Belhaj did not seek and has not been given any compensation. Finally, I have met Mr Belhaj and Mrs Boudchar—indeed, Mrs Boudchar is present in the Gallery to hear this statement—and the Prime Minister has now written to them both to apologise." "The Government have enacted reforms to ensure that the problems of the past will not be repeated. We have made it clear that Ministers must be consulted whenever UK personnel involved in a planned operation believe that a detainee is at serious risk of mistreatment by a foreign state. We have also improved Parliament’s ability to oversee the actions of the agencies through the Justice and Security Act 2013. The Intelligence and Security Committee is a Committee of Parliament and is fully independent of Government. It has a statutory right to review past intelligence operations, and the Committee and its staff have direct access to agency papers. These reforms mean that the framework within which the UK now operates is very different from that in the early 2000s." Malcolm Rifkind - a former Foreign Secretary and ISC Chairman - has called for the ISC to examine Belhaj's rendition - The Guardian 12th May. Rifkind said the intelligence and security committee (ISC), the panel of MPs and peers that provides oversight of the UK’s intelligence agencies, was best placed to investigate the roles of the then prime minister, Tony Blair, his foreign secretary, Jack Straw, and other government ministers in the 2004 rendition. They comment that - "The wider issue is that we’ve still never had the judicial inquiry into the UK’s role in torture carried out by its partners - including the CIA’s extensive programme of rendition and illegal detention - that we were promised under David Cameron’s government. The Government once claimed that only an independent, judicial inquiry is capable of exposing the truth over the UK’s role in the torture of detainees. The cost to the taxpayer? I understand it to be in the region of £4 million.